What good is your investment if you cannot calculate your returns, or worse, calculate them incorrectly. It would become a classic situation of counting your eggs before they hatch. Times were simpler when gains were distributed in the proportion of individual contribution but unfortunately, times are not so simple anymore. With clauses like Liquidation Preferences and Preferred Participating, term sheets have become complicated and calculating your returns is equivalent to untangling a pair of headphones, it’s just not possible in 30 seconds. In this post, basic clauses shall be explored. The more complicated ones will be untangled in another post. Let us try to make sense of the basic clauses one by one. 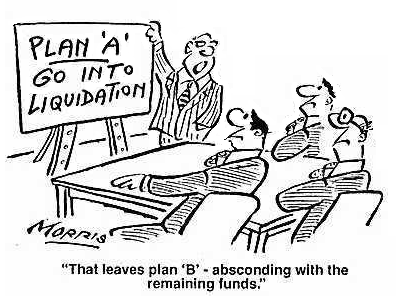 Liquidation Preference: Simply put, it is the amount of proceeds which the investor is guaranteed before the common shareholders in case of a liquidation event. Stated as a multiple of amount invested in the company, this can go as high as you want, but is usually restricted to 1x, considering the fact that this clause was initially created to safeguard investors in case the company was sold for a value less than expected. A 1x liquidation preference ensures that the investor recovers at-least the initial investment. Let us take an example to explain this. Investment firm MPG invests $3m USD in series A for a 40% stake in FW, a fintech company. Let us assume there is no preferred participation and MPG is the sole investor in FW. As one can see, despite having a 40% stake in FW, MPG pocketed more than 40% in each scenario. In the last case, MPG pockets everything, leaving nothing for FW founders. If preferred shareholders simply have a liquidation preference, they are also called non-participating preferred. In that case, the investor might choose to convert to common stock, if payout from common stock is more than liquidation preference. In our example, MPG will convert their liquidation preference stock of 1x to common stock if the company is sold for more than $7.5m. Participating Preference: In contrast, participating preferred, also known as double-dip, allows the investor to participate in the remaining proceeds as well on a pro-rata basis in addition to the liquidation preference. Continuing with the above example, MPG would get 40% of the remaining proceeds as well. Participating preferred holders will never convert to common stock since they are adding their participation on top of the liquidation preference, something which common shareholders don’t get. As you can see, this would be highly unfavorable for entrepreneurs, And thus, the cap was born. Participation Cap: The participation cap provides protection to the entrepreneurs the same way liquidation preferences protect the investor. Also, stated as a multiple of the invested amount, it provides a conversion threshold for participating preferred shareholders. For instance, a 3x cap would ensure that the investor can only receive up to 3 times the invested amount and would have to convert to common shares to receive a higher payout. Let us continue with the MPG example, wherein MPG has a liquidation preference of 1x. As seen in the first case, the total proceeds are capped at 2x ($6m). This ensures that the common shareholders get an additional $600k. Till $3m, MPG will get all of the proceeds due to Liquidation Preference. Afterwards, till $10.5m exit value, both series A and common will share the remaining proceeds in 40:60 ratio, till the 2x cap of $6m is reached. Post that common takes all the value till $15m, after which it is advantageous for MPG to convert to common shares and get more than $6m. As seen throughout the post, cash flows vary widely depending upon the rights your share class has. The distribution varies even more when there are multiple investors in multiple series of investments and clauses like seniority come into play. We will explore the seniority clause in another post. Sign Up for a free trial to calculate your share of the pie on Fundwave.